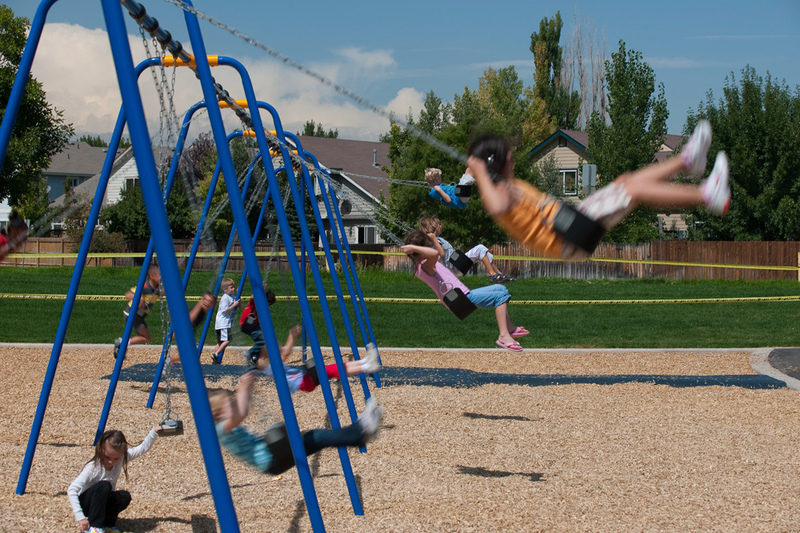 Mountain View Elementary School was in desperate need of playground improvements. Play equipment was outdated, damaged and unsafe, play surfaces were inconsistent and there were minimal opportunities for ADA access and play. Knowing the elementary school was a magnet school for hearing impaired children, Design Concepts determined the new playgrounds for early childhood, kindergarten, and primary school age children would include play equipment and spaces that would address these needs. Along with traditional climbers, slides, and swings, brightly colored play equipment with sound panels, drums, horns, and talk tubes were chosen for each playground. 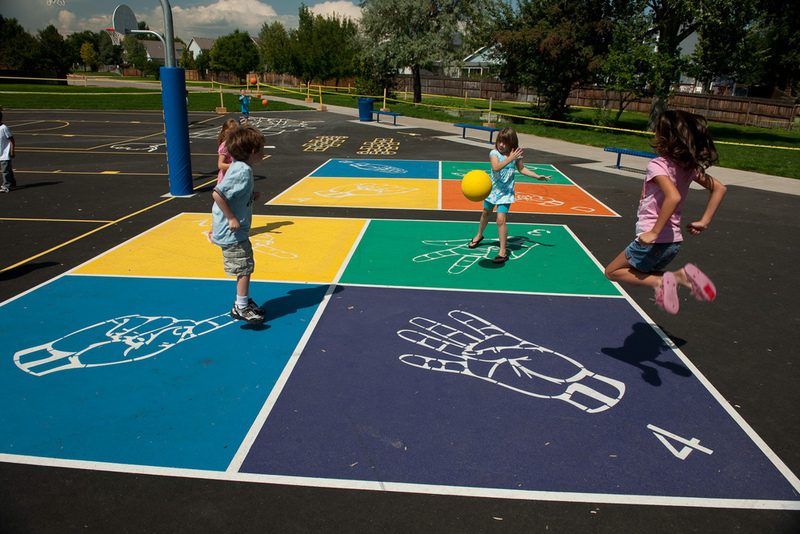 Four square courts with sign language symbols, tetherball, hopscotch, basketball courts, and a sign language alphabet were all incorporated in the play pad surfaces. New bike racks, benches for seating, and trash receptacles were also included. Temporary classrooms were removed and an informal grassy area was provided for play. It secludes the outdoor classroom and provides abundant shade from nearby mature trees. 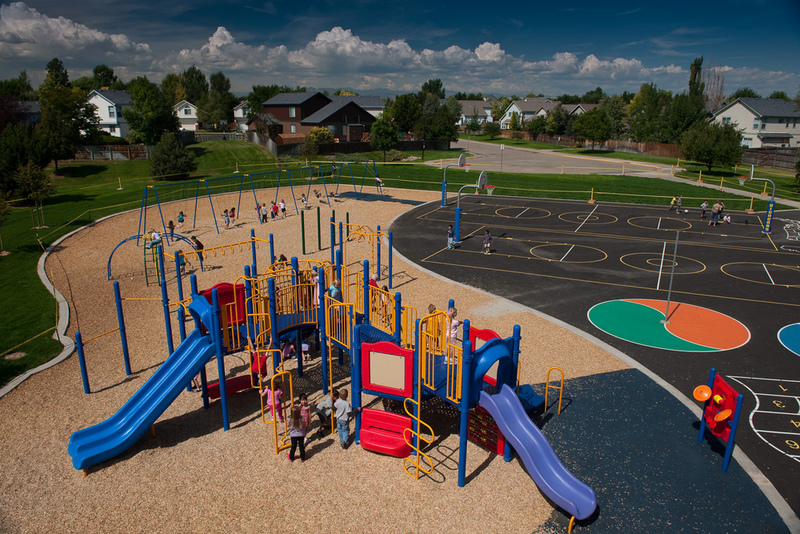 Due to the playgrounds being adjacent to a neighborhood park and pedestrian access, all design, site construction, and irrigation were coordinated with the City of Broomfield. 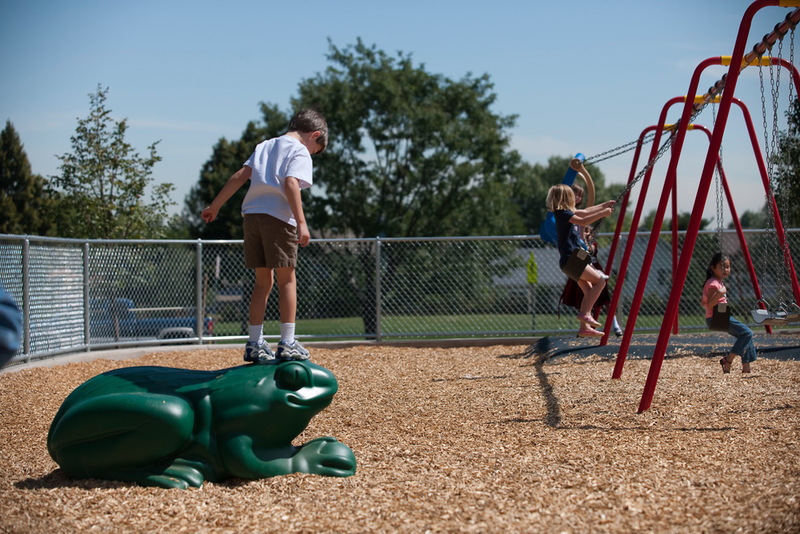 Mountain View Elementary loves their custom-tailored playground, and the City and surrounding neighborhoods benefit as well.